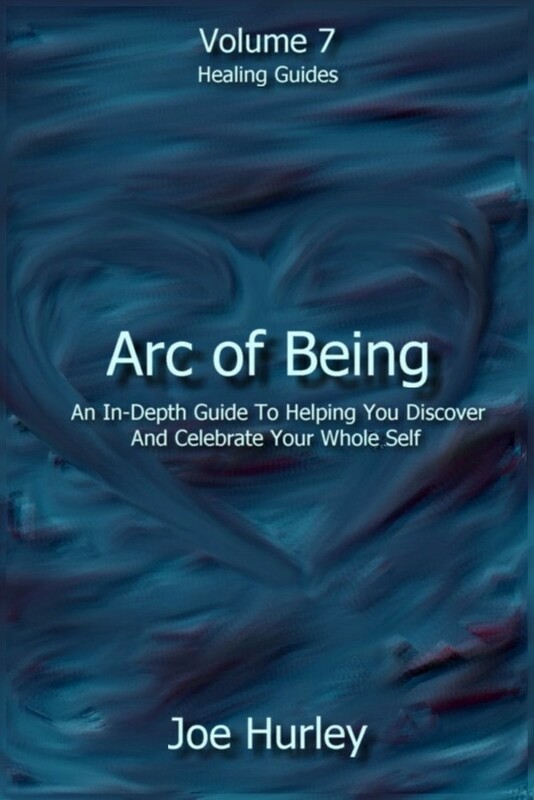 Arc of Being: Volume 7 – Healing Guides is a book of in-depth essays and guides by author, visionary, and healing energy consultant Joe Hurley. It represents major teachings from his over 30 years of personal growth, multidimensional study, in-depth personal healing, and divine transformational experience. -To help you work with energy to resolve conflicts, experience abundance, open to divine transformation, and heal on many levels using four main tools: the power of consciousness, the power of prayer, the power of breath, and the power of hands. 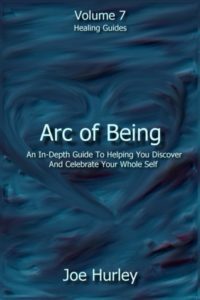 -To help you understand the illusion of separation from the divine so you can evolve your beliefs and accept and embrace your divine wisdom, love, and light. -To help you move through fear, and ascend into your wisdom, love, and light in such a way that raises your baseline of human experience. -To help you in understanding your cycles of growth and seasons of change so you can know more clearly your process of personal, group, and system transformation. -To help you understand more about the evolutionary process occurring within and around you, so you become more comfortable with the changes in life as you grow and evolve. -To help you be present to, differentiate from, and understand multidimensional messages. -To help you let go of old ways, transform, and ascend. -To help you become present to old ways and help them ascend into wisdom, love, and light. -To help you understand triggers, energy matching, and other power and control dynamics. -To help you to understand entangling and similar reaction patterns. -To help you learn how to be free energetically. -To help you choose wisdom and love in any circumstance. -To help you understand with more depth and detail how to move from reaction to freedom. -To help you move from primal instinct creation to creating from your divine wisdom and love. -To help you face past trauma and darkness. -To help you step into the new way. -To help you understand the use of energetic shields. -To help you understand the wisdom beyond the shields – talking directly to the energies. -To help you understand the four ways of being: control, victim, isolate, and divine alignment. -To help you understand how to use the divine bridge with all types of energies and dynamics. -To help you understand about divine projects and project completion.